Lack of space in our burial grounds is not a new phenomenon. By the Victorian age there were reports of severe over-crowding in churchyards leading to health problems. This in turn led to the development of new cemeteries all over London, and the problem was solved... for the time being. Cremation memorials do not always have to be uniform, and there is scope for beautiful design. Many church yards now only have enough space for cremations in a designated area which might be too stony to dig graves. The dimensions are usually set and the rules are rigid. 12" x 12" being the standard. Some crematoriums are even stricter only permitting signs 9" x 3". Of course this is a great shame for the independent letter cutter/sculptor who finds the uniformity restrictive and lacking the room for individuality. However there is still scope for a bit of good design. For example, a 12" diameter circular cremation tablet would usually be permitted instead of the square 12" x 12". It is worth remembering that cremation stones should be made from hard material which will take longer to weather. Slate and Nabresina are the best. Here are five examples of unique cremation memorials. 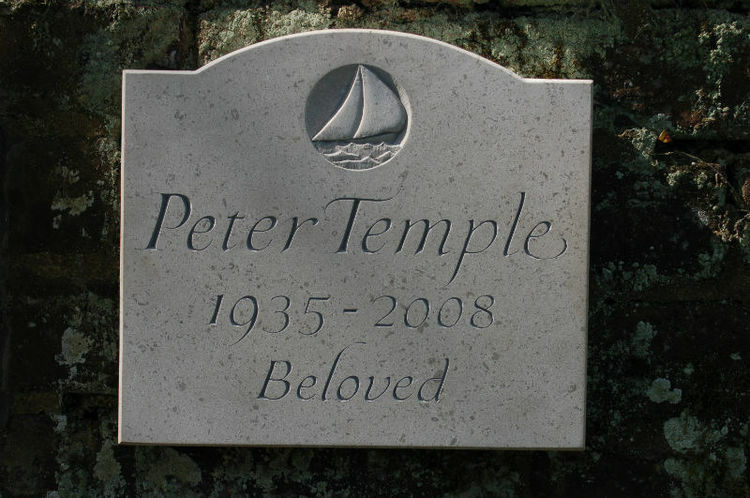 This bespoke cremation memorial stone is carved in Hopton Wood Limestone, which is sadly unavailable at the moment. 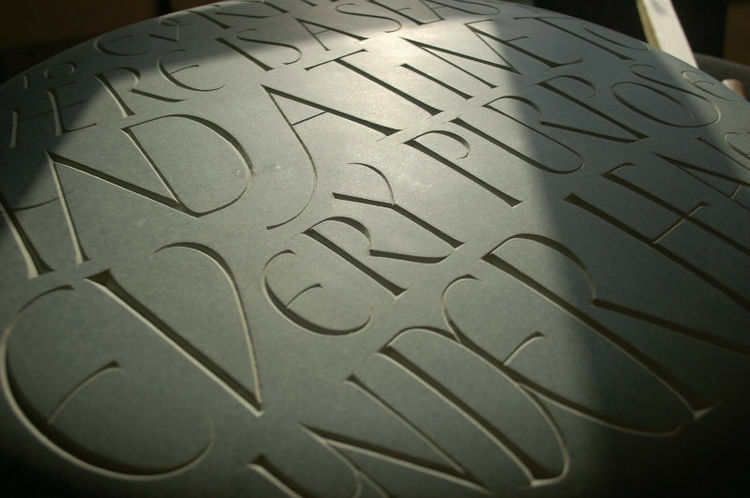 The lettering on Hopton Wood stone is often painted to enable it to be read. The matt colour is grey with a touch of brown to match the colour of the shell found in the stone, so it never looks tasteless or over the top. 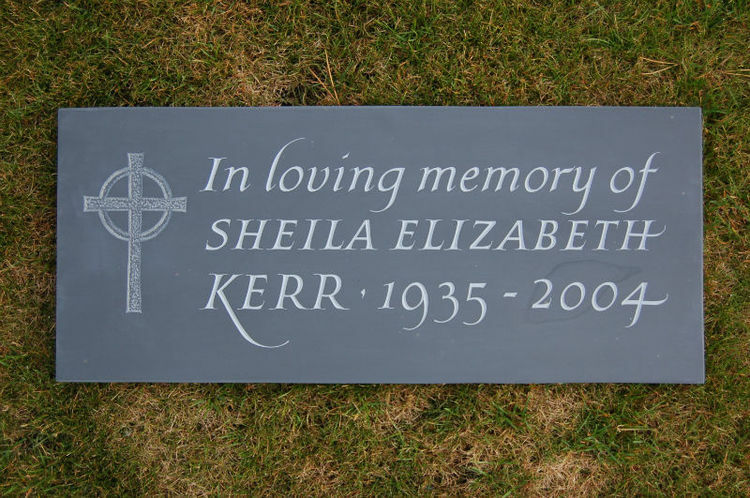 This cremation stone in Welsh Slate lies by itself in a beautiful parkland. 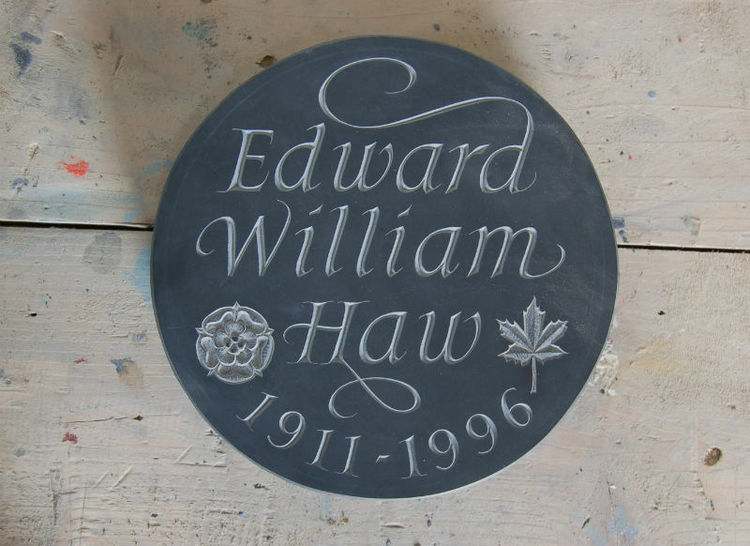 The maple leaf and Tudor rose was the most effective way to convey Edward Haw’s background, without the need for lots of text. 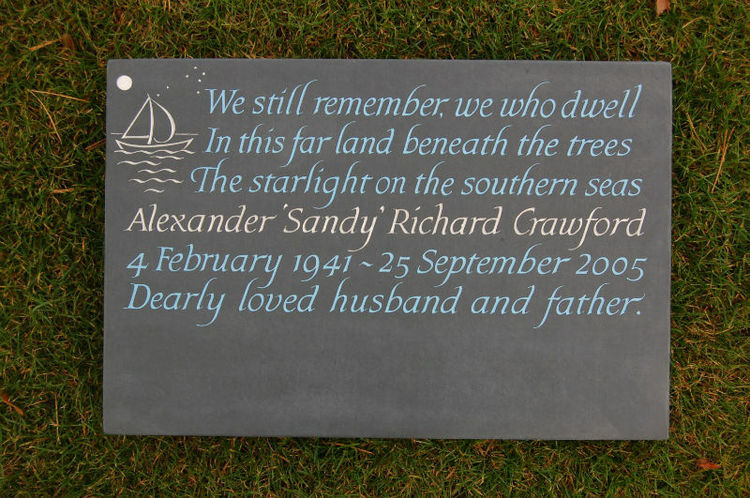 This memorial tablet in Portland stone and slate was made for Pat Austin, wife of David Austin the garden rose expert. 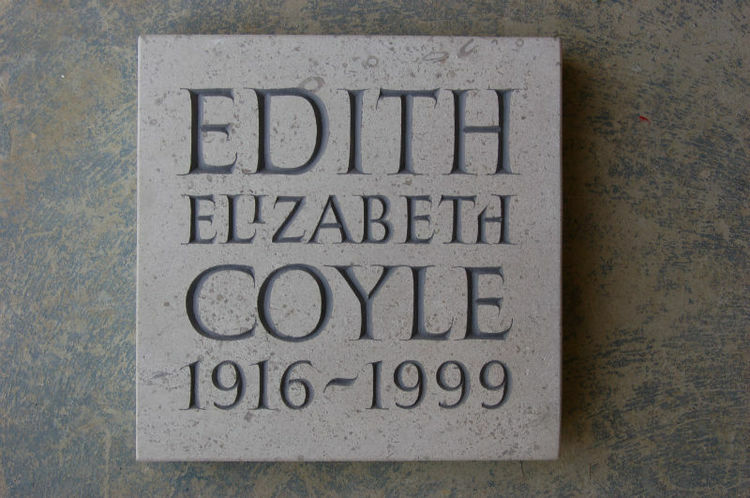 Pat had a rose named after her which is carved in repetition around the Portland stone base.